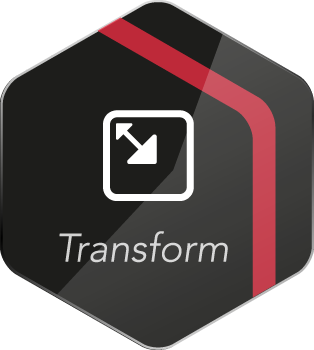 CrystalBridge puts you in command of the most complex transformations. 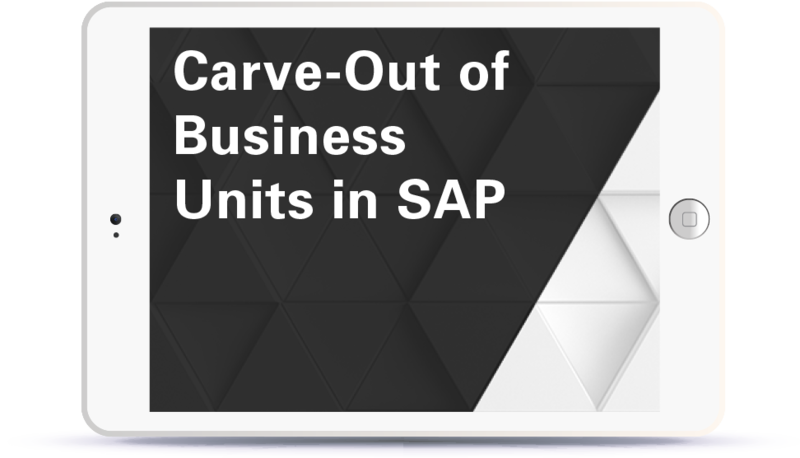 As you prepare to divest or spin off business units, you can visualize your existing SAP landscapes, blueprint the entire transformation journey, and simulate post-carve-out impacts — all before you actually execute the transformation. Then, from the CrystalBridge command center, you can swiftly execute the carve-out. Close the gap between business strategy and IT execution by predicting transformation outcomes and executing with precision. It can be done in 36 hours or less. How? With automation. In 2015, SNP software was deployed to successfully split one of the world's largest technology companies' 50 TB database — five times that of the entire U.S. Library of Congress — into two separate, publicly-traded instances. SNP transformation processes have been refined and developed through over 10,000 transformation projects. SNP automation software, combined with a unique understanding only SNP can offer, is the perfect solution for carve-out success. Whether you plan to split up or shut down your divested units, SNP's automated offerings provide a level of insight and control that can't be achieved with traditional carve-out approaches. Download this white paper now and learn how automation software enables IT to support even the most challenging business carve-out plans. 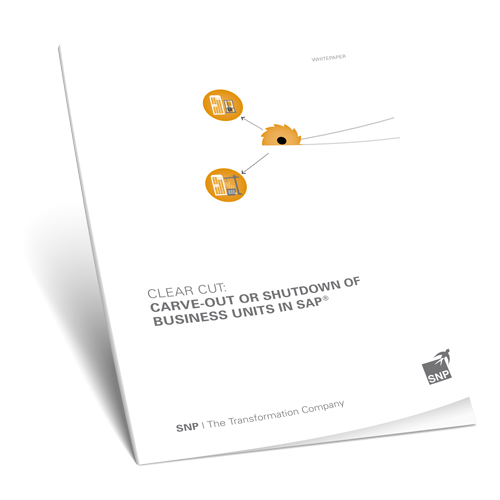 SAP carve-outs, dilutions, and divestitures are incredibly complex transformations. So many choices must be made, and the timeline is always compressed. Critical information for running the business must be supplied to the buyer while protecting sensitive information from a potential competitor. Each of these decisions has far-reaching impact across the preservation of history, master data relevance, security, and regulatory compliance. The solution is simple: automate. In this webinar, you'll discover how to leverage pre-defined transformation content that eliminates years of effort and risk in your SAP carve-out. Find out how the tedious processes of complex carve-outs can be automated for fast, secure results, with the added benefit of automated audit trails. 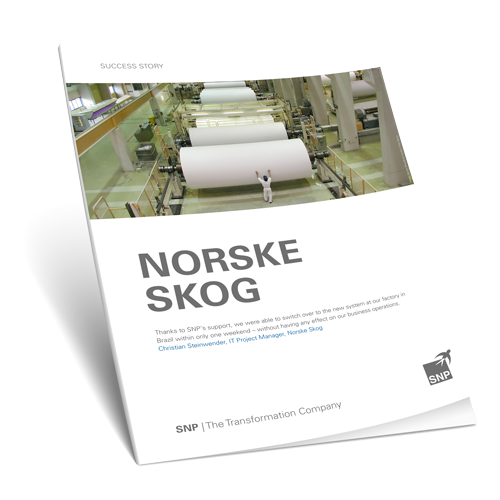 Learn how Norske Skog's IT department carved out a Brazilian factory from its centralized SAP ERP system to tailor business processes to local clients — all using the power of standardized transformation software from SNP. Norske Skog switched over to the new system at their Brazilian factory in only one weekend — without any downtime impact on business operations. The cost account currency was simultaneously switched from US dollars to Brazilian reals. Automate your SAP carve-out. Plan, simulate and run your project with CrystalBridge.